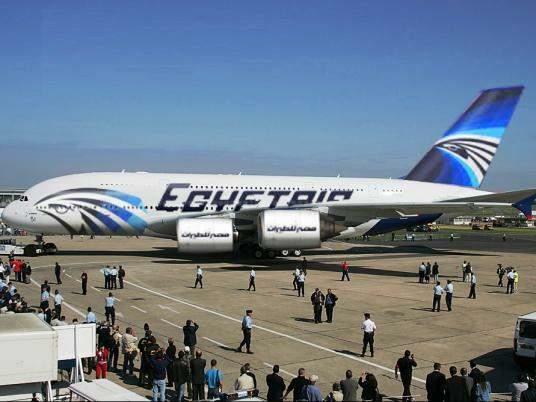 Egyptair has announced it will resume flights to the Syrian cities of Damascus and Aleppo on Monday, after a three-day suspension by many airlines over security on the airport roads. It said the road in Damascus, scene of heavy fighting and bombardment by government jets, was now secure. Earlier a car bomb killed at least 15 people in the Syrian city of Homs, state-run Sana news agency reported. At least 24 were hurt in the blast in the government-held al-Hamra district. Video footage posted online showed flames and smoke. Meanwhile the army is continuing to batter rebel-held districts of Damascus with airstrikes and heavy artillery. Activists say about 40,000 people have been killed since the uprising against President Bashar al-Assad began in March 2011. Egyptair head Roshdi Zakaria said a decision had been taken to resume flights after consulting with airline staff in Syria and the Egyptian embassy in Damascus. Many flights in and out of Damascus were cancelled on Thursday and Friday after heavy fighting on the main road to the airport, which is the country’s busiest. The government said on Saturday that the airport had reopened and domestic flights were operating, but international flights remained suspended. Also on Saturday, internet services around Damascus resumed after a two-day blackout. Homs, Syria’s third-largest city, has been a major battleground in the 20-month uprising. On Sunday Sana reported a “terrorist bombing carried out with a booby trapped bomb” near a mosque in al-Hamra district. The Syrian Observatory for Human Rights, a UK-based activist group that monitors the violence, said the death toll could increase as many of the wounded were in a critical condition. In Damascus the army pounded the district Kfar Sousa, in a attempt to stop rebel forces from reaching the capital, activists said. Elsewhere, the Syrian army launched air strikes on the northern city of Aleppo, the Observatory said. The Syrian government blames the uprising on foreign-backed militant groups.